Argentina Cavalry (Gaucho Infernales) [AC-08] - $7.20 : Grenadier Productions,, Home of Liberators! 6 troopers & 6 horses. Troopers come in 4 poses, horses in 2 poses. Use these figures to represent the Infernales cavalry of the Salta region or mix in with other gaucho or irregular forces. The Infernales were elite squadrons of gaucho cavalry. Hailing from the region of Salta, they were reknowned for their all red uniforms that earned them their nickname. The Infernales were the heart of Gueme's forces and were capable of engaging Royalist troops in open battle. 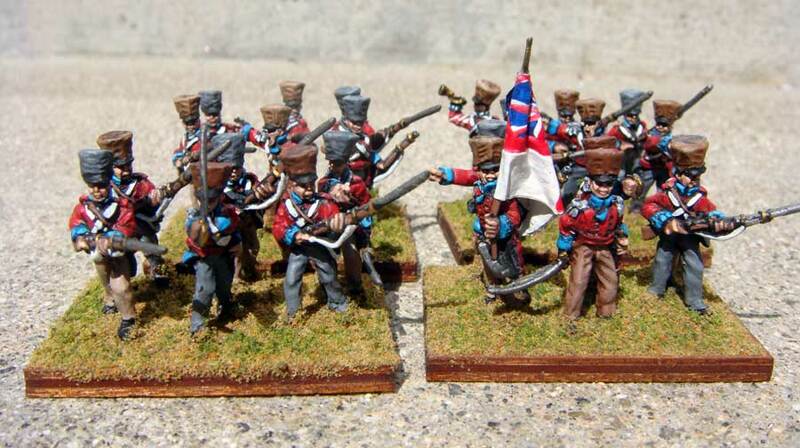 Some of the Infernales were British soldiers that had been captured in 1806-1807. Treated generously by their colonial captors, they stayed behind and started new lives and families. Fighting for their adopted homeland, they added combat experience and European training to the raw skills of the gaucho horsemen.